A holiday in Sydney really is what you make it, and whilst many people head straight to the Opera House and similar famous sights, others will enjoy exploring the Royal Botanical Gardens and national parks. For a taste of the Orient, the Chinese Garden of Friendship boasts a central setting in downtown Sydney and was actually based on the Ming Dynasty gardens of the past, with an onsite Tea House providing traditional Chinese tea in breathtaking surroundings. The Royal National Park also stands out and was actually the very first in Australia to be known as a national park, being awarded this title as long ago as 1879. 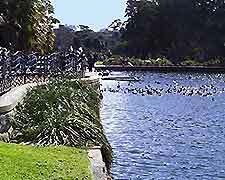 Centennial Park, within the Eastern Suburbs, is the largest park in the city and is located to the south of Woollahra, at the eastern end of Oxford Street. Popular with joggers, cyclists and horse riders, Centennial Park also features barbecue facilities, picnic areas, sports fields, walking trails and seating areas. The Royal Botanic Gardens is situated in the city's Central Business District and is home to a number of important horticultural collections. 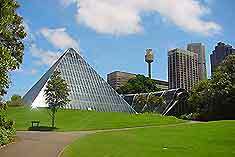 Attractions include established landscaping, the Sydney Tropical Centre, the spectacular contemporary Pyramid Glasshouse, a peace Oriental garden, a large cactus garden, picnic areas, scenic views of the harbour and some native wildlife. This is the perfect spot for relaxing, strolling, jogging and the gardens were originally founded in 1816. A free guided tour is available each day at 10:30. The much loved Chinese Garden of Friendship, in the heart of the Central Business District covers around 10 hectares / 40 acres. 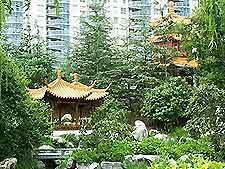 Designed in the 1980s by architects from Sydney's sister city of Guangdong, in China, the Chinese Garden of Friendship is called home by the Lake of Brightness, waterfalls, mini-mountains, pavilions, a Chinese tea house, courtyards and lush planting. The Featherdale Park, in the Greater West district, contains the largest private collection of native fauna in the whole of Australia. There are also more than 200 species of native birds living here, including many colourful parrots and cockatoos. Other attractions at Featherdale include guided tours, where you get to see kangaroos, penguins, crocodiles, koalas, wombats and reptiles. Hyde Park is a particularly pleasant green space in the heart of central Sydney. Popular with locals and workers, Hyde Park provides the perfect place to escape busy life and is an ideal spot for picnics. 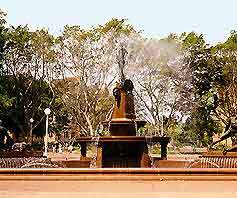 At the northern end is the impressive Art Deco Archibald Memorial Fountain, with statues from ancient Greek mythology. Further highlights include seating areas, mature trees and views of the city. Ku-Ring-Gai Chase, on the Upper North Shore of Sydney, is full of interesting walking trails and is simply vast, covering around 15,000 hectares / 60,000 acres. With wild bushland, guided tours, important historic Aboriginal artefacts, native wildlife, boat trips and scenic views, Ku-Ring-Gai Chase is a National Park and is located 24 km / 38 miles north of the city centre and also borders Broken Bay. Lane Cove National Park is situated within the Lower North Shore area and covers more than 600 hectares / 2,400 acres. Featuring a popular visitors' centre, gift shop, café area, picnic facilities, walking and cycling trails, rowing boats, and peaceful seating areas, this large bushland area is well-known for its large amount of wildlife. Located in the Northern Beaches area, MacKillop Park is full of native Aussie wildlife, including many colourful parrots and cockatoos. With excellent picnic facilities, scenic views of the ocean, peaceful walking trails and mature trees, MacKillop Park is close to Sydney Harbour. 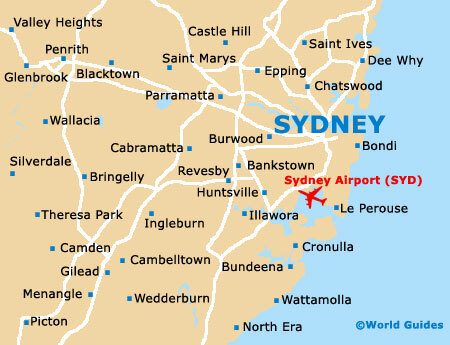 Nielsen Park can be found in the Eastern Suburbs, south-east of Vaucluse Point, within easy reach of central Sydney. Featuring a secluded beach known as 'Shark Beach', picnic facilities, seating areas, gentle walking trails, stunning views across Port Jackson, the highly regarded Nielsen Kiosk, a café and a restaurant, Nielsen is one of the most popular locations in this area. Additional highlights include a couple of excellent diving spots on the reef, located either side of the park. The Royal National Park, in the south of Sydney, is one of the largest in the whole of the city, covering more than 7,500 hectares / 30,000 acres. With popular beaches, excellent water sports facilities, wildlife trails, breathtaking waterfalls, picnic area and seats, the Royal National Park is full of native plants, trees and animals, and is within easy reach of the city. This beautiful coastal park also features some dramatic cliffs, lush rainforest and is actually the world's oldest gazetted national park. The stunning Sydney Harbour National Park is located in the city's Central Business District and is a popular tourist attraction. Featuring landscaped gardens, mature trees and shrubs, quiet beaches, scenic seascape views and many walking trails, the Harbour National Park is a peaceful oasis in the heart of busy city life. Protecting the scattered areas of bushland around the harbour, the park is home to a number of small islands. Waratah Park, on the Upper North Shore, is one of the most famous parks in the city, being the film location for the well-known Australian television series 'Skippy the Kangaroo'. Visitors will be able to see a large amount of friendly, native Aussie wildlife, including emus, koalas, wallabies and cockatoos, amongst many other creatures that most people only ever get to see in a zoo.